*Free Delivery to Parcelforce UK Mainland Zone 1. A discounted pack for the installer whose prefers to install a SpiroTrap MB3 dirt separator on the heating return pipe and a SpiroVent RV2 deaerator on the heating flow pipe. 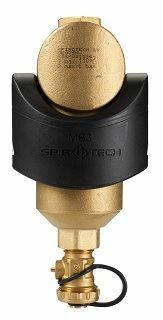 The installation of a SpiroTrap MB3 prevents the build up of dirt contaminating your central heating system and helps to ensure that it is operating to its maximum efficiency. SpiroTrap MB3 How it works video. The SpiroVent RV2 is a fully universal deaerator. 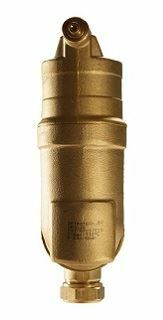 Like all other Spirovent versions, it easily and effectively removes circulating air and micro bubbles from system water. Can be mounted and put in use in only a few minutes. Effectively removes circulating air and micro bubbles. Inhibits the formation of corrosion products. Puts an end to gurgling and other irritating noises. SpiroVent RV2 How it works video. The Cashback offer is valid for RV2 purchases up to 28th June 2019. Please provide your contact details so arrangements can be made for payment. Disclaimer - Images are for illustration purposes only, always refer to datasheet or drawings for detail.